Your ascendant is the 13° Sagittarius. The rising term is Venus. Appearance: Physically, the Sagittarius ascendant people are tall, with not very athletic musculature. Their have a charming appearance, radiating energy and liveliness. The Venus rising term of the ascendant adds very feminine and fine characteristics to the overall appearance. You are probably naturally inclined towards justice, truth, and values. You are achieving your goals without much effort. You are good in understanding and learning new things in life, and have good command in languages. You may be caring for others, especially the weaker ones. You are also generous and philanthrop. Jupiter is the ruler of Sagittarius, and being an ascendant with Mercury making an exact square aspect to the rising Venusian term, makes teachers, literators, grammarians, writers, orators or priests. The analysis of the zodiacal state of Jupiter is good, unaffiliated and proofs that the primary motivation towards high education and teaching will be/has been achieved. 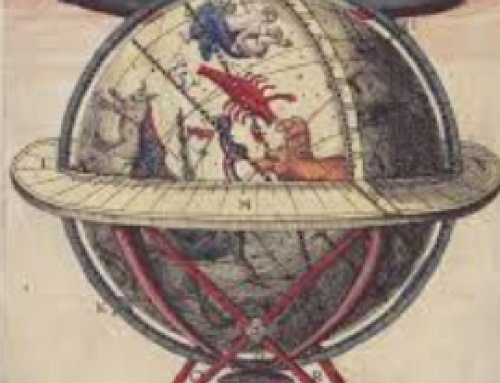 Spirituality as a dominant of this horoscope: the fixed star Hydra stands exactly on the western horizon in Leo and indicates interest and talents in astrology and other occult matters. 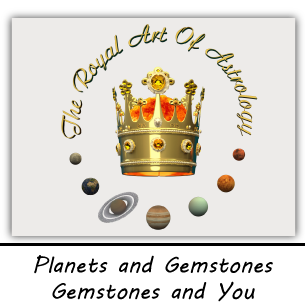 The fixed star Fomalhaut is one of the four king stars and indicates interests in spirituality and is conjoined with Jupiter in the 3rd house, (the 3rd house has also spiritual meanings). In opposition to the 3rd house, stand the 9th house for spirituality and higher education with Pluto and Uranus there. Uranus, the new ruler of astrology being positioned there is additional proof of talents and interests in astrology. Pluto stands there for all hidden, occult matters. In addition, Neptune placed in the eleventh house indicates high spiritual aspirations in the person which will give them the ability to attract other people of the similar natures. They may even help them by helping the native realize their ambitions. Money: Neptune makes a square aspect to the house of money. He, in his nature is not concerned with accumulating money. Saturn in the second house receives the aspect, and is responsible for the money and assets earned with own efforts. So, the Neptune aspect can lead to situations or behaviors associated with easy losing money and insufficiently strong desire for retaining and gaining money. The 6th house is important for the own efforts we make to earn money. The Moon is positioned there in exaltation in conjunction with the most important star of money and luck, the King star Aldebaran. This means that with own efforts and talents you will be able to make your money. 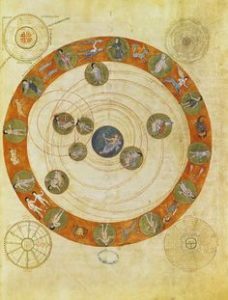 The trine aspect from Jupiter, even retrograde, gives even more noble and visible qualities and talents needed to have in order to be able to earn your money. The lot of fortune (stands for money) is well positioned in the 8th house, but the conjunction with Mars and the opposition of the stationary Saturn are there to create efforts in the process of making money. Still the efforts will result in success! the Sun and visible (only 30% of the people, the most intelligent ones have a visible Mercury in their natal charts), makes him without any doubt an indicator, once again of the profession of a teacher or a grammarian, or a literator, or/also an astrologer (Mercury is the old lord of the astrology in the ancient astrology). Mercury makes a square aspect to the ascendant. This way he adds his qualities to the characteristics of the person. 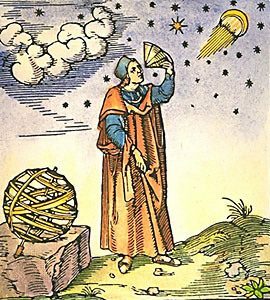 In addition, the conjunction of the Sun and Mercury solely, makes people with very sharp and critical minds, capable to rule and teach the others and are very popular. This adds to the primary motivation and reconfirms the professional interests. 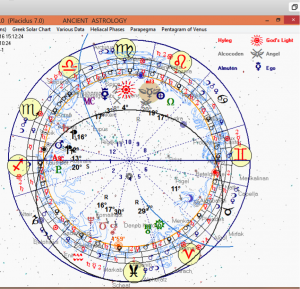 Mercury in the 10th house receives a trine aspect from Mars. Mars, positioned in the very karmic 8th house gives an impetus and a sense of drive to achieve the career, but also explains the karmic meaning of your profession for you. The fixed star Spica is also in the 10th house of the career and profession and is conjoined (together) with the Sun. Spica stands there for fame. This means that you will be very visible, successful and highly appreciated in the chosen profession. Relationships and marriage: The very important significator of marriage Venus as an Evening Star is positioned in the 12th house and in opposition to the waxing Moon in the 6th house. This aspect solely, indicates some problems in the marriage in terms of instability or hidden love affairs (the 12th house is the one of all invisible matters including our subconcious). This placement of Venus shows a lot of hidden desires and potential escapism into sensual pleasures. The opposition to the Moon, being another significator of marriage or serious love relations is also there to show fluctuations in the personal life affairs. The analysis of the arabic lot of marriage (3°Taurus 6th house), indicates at least two serious relations or marriages. Note: the health analysis only indicates some potential weaknesess of the body before their actual appearance. It does not mean that the person is ill. It is a very useful tool for us to take some measures in the right direction in order to maintain a good health. The Sagittarius ascendent: The inclination to excessive consumption of rich food and drink sometimes leads to arthritic pains in the hips. The trine aspect of the malefic stationary Saturn to the Moon (the Moon is a significator of ones feelings, body, soul) could create fears of different grounds in the person. Mars is positioned in the 8th house, which gives a potential problem with the blood pressure. The 6th-12th house analysis indicates a need for a regular check up of the female organs. Overwork and stress caused at work can create a disease. This is visible from the stationary Saturn in the house of money. Your Solar year is ruled by the Saggittarius and the 1st house. The lord of Sagittarius is Jupiter. The 1st house is about you, your own personality, body, self consciousness, looks. This year is about you giving more time, love and attention to yourself, and since Jupiter is placed in the 10th house, the year is also about your career. In other words, your good spirit and health will lead you to a rewarding career. in the 5th house. There will be a place for love this year. Having the malefic Mars in the ascendent can lead to some health irregularities and conflicts or differences between the two partners in the love life. Having Mercury in the 9th house and in the 10th in your natal chart, means that the year will have a role for your spiritual development and further awakening, but also a growth in your profession. Thus, in your year, you should find time for yourself, body and spirit. You will also have good career and professional growth opportunities. There will also be time and good chances for love and relationship. August 2016: Jupiter is entering Virgo, your 10th house and will stay there one year: good for career and a blessing for everything! The whole year Saturn in Scorpio at your 12th house: can create some irritations and challenges from hidden enemies, people from the past, also people from past lifes linked to work: subordinates (Mars in the 8th house ruled by Cancer (the Moon); the Moon is positioned in the 6th house, the house of labour and work and the subordinates). This particular solar year is having Scorpio as ascendent ruled by the malefic Mars. Mars is positioned in the 10th house, and this year will be a lot about work, much of it, making money and career. This is because the profected ascendend falls under the 8nd house of spirituality and oposing the house of money, ruled by Saturn, who can be “jenerous” to us if we are well organised, structured and disciplined. This year will require discipline, good organization of time and efforts. 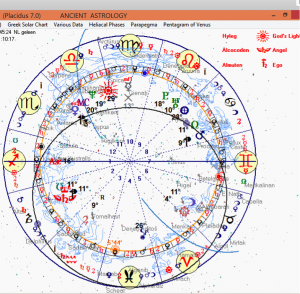 Scorpio of the solar chart rules your natal 12th house, of karma, hidden enemies, limitations. You might have an interaction with some of your hidden enemies. Mars rules your 5th house of love. So, with some obstacles coming from the Saturn aspect, you will experience nice love emotions also this year. 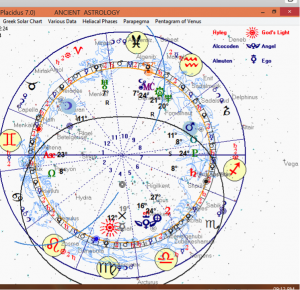 The ascendant of your solar chart of this particular year is ruled by Gemini (Mercury). Very spiritual year for you with two astrological fixed stars in important positions: Betelgeuse and Zosma. 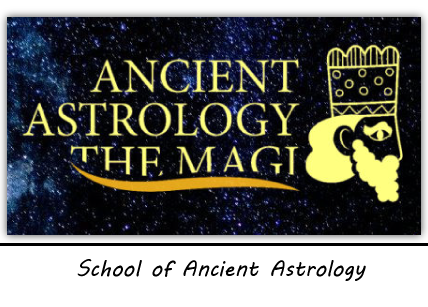 This year will be very rewarding should you opt for studying astrology or other occult sciences, considering the place of the Midheaven in the 9th spiritual house and in conjunction with Neptune. Mercury is in the 4th house exalted and in conjunction with the Sun. Again, like the two previous years, good for career, but not dominating. The 4th house also indicates interest in hidden sciences and occultism. The profected ascendant is Aquarius in the 3rd house. The house of education and spirituality. 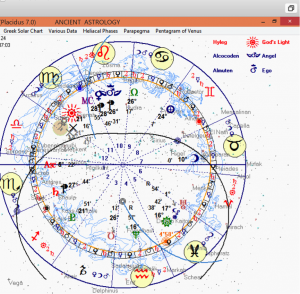 The Gemini ascendant of the solar chart is placed on the 7th house in your natal chart. This year will give good opportunities for serious relationships and love. Venus is in own house and dignity in the 5th house of love. October end 2017, Saturn is leaving your 12th house and is entering your ascendant and will stay there longer than two years: he can cause some health issues and will teach you patience during his stay; Maintain a healthy lifestyle and do not allow any small troubles at work to affect your health. In the meantime, Jupiter will make a sextile to your ascendant from the 11th house and will guard you. October 2018, Jupiter is entering your 12th house and will stay there for about a year: during this period you will place emphasis on esoteric, hidden, mystical sciences, philosophies or foreign teachings.